As frequent attendees of the Loop Ice Carnival will attest, the January event has no guarantee of cold weather. While it's sometimes frigid on the days in question, St. Louis weather is fickle; it can be tough to stay in a frosty frame of mind while the ice sculptures are sweating in 60-plus-degree heat. But it's not impossible. Whatever the temperature turns out to be, the ice sculptors and their creations will line both sides of Delmar Boulevard between Kingsland and Rosedale avenues, along with the kid-favorite ice slide, trike races (for kids and parents), a bounce house and the Red Bull Rooftop Skate Park atop the Moonrise Hotel. New this year are a host of after-hours events for adults, including bar games at participating venues. 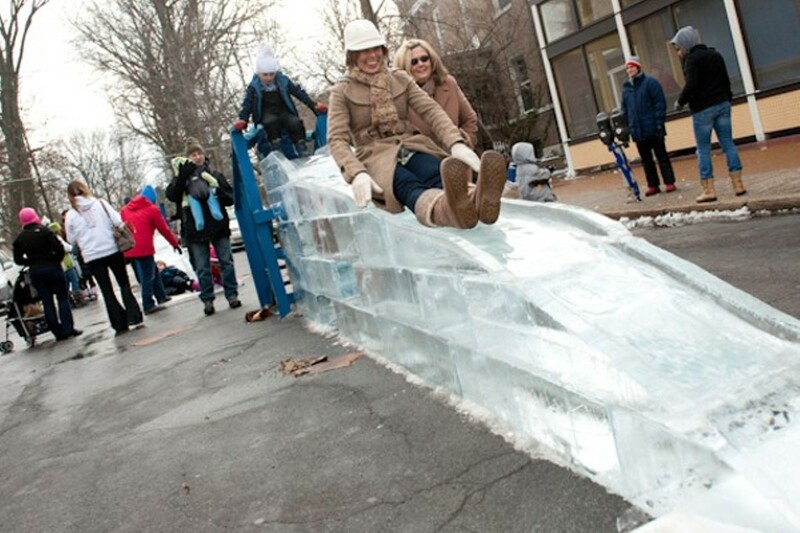 The Loop Ice Carnival takes place from 11 a.m. to 5 p.m. Saturday and Sunday (January 19 to 20; www.visittheloop.com). Admission is free.